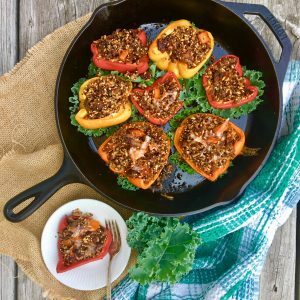 Who doesn’t love a good stuffed pepper? It is easy, versatile, and delicious! You can really change this recipe up to your liking, from different meats (beef, sausage, ground pork, ground chicken) to add rice instead of quinoa. You can also change up the flavours, add soy sauce, sesame oil for a more Asian version of this dish. Really, the possibilities are endless. 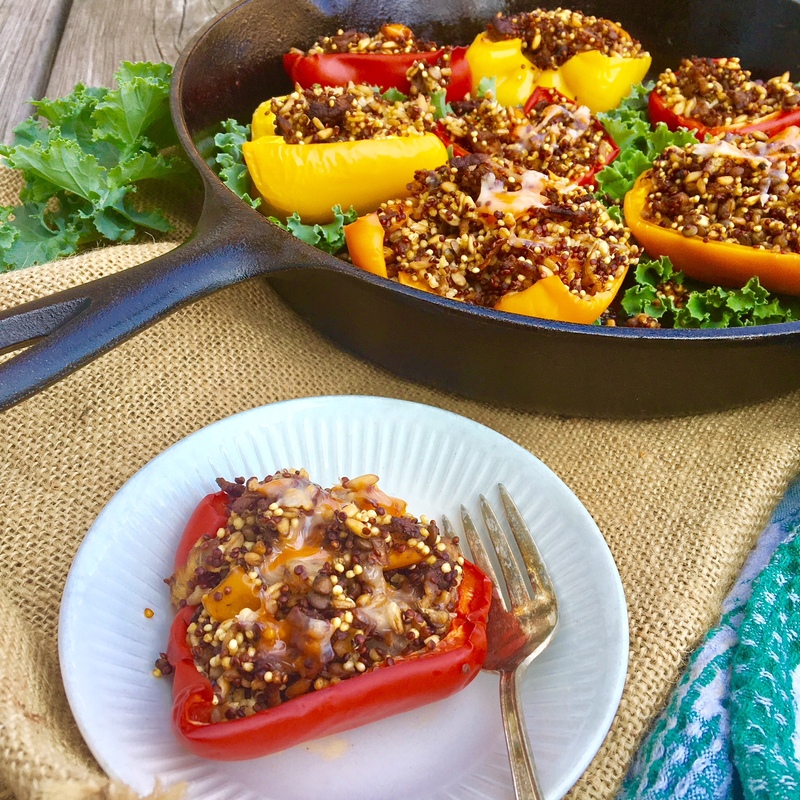 You will love this super easy recipe that is perfect for meal prepping or a quick weekday dinner! Enjoy and let me know what you think in the comments below. 1 cup shredded cheese You can use any cheese you like, but it is optional! Marketing & Events Manager by day, Food Blogger by night! I love food, and everything that has to do with it. Love how you made a traditional recipe new with adding quinoa. Looks delicious! 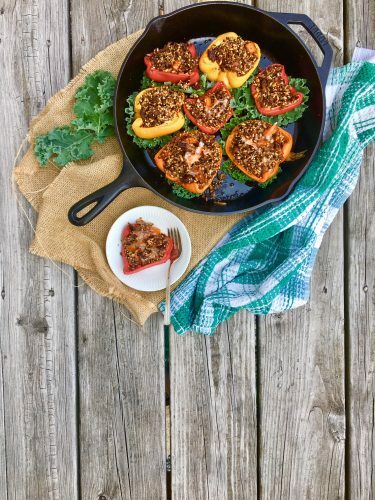 Stuffed peppers make such a great meal any night of the week. I like to make LOTS. They are great for leftovers, or for tucking away in the freezer for a day I don’t have time to cook. This looks so tasty and yet really simple to make. I love it! I don’t own an Instant Pot, but wow does it really take just 1 minute to cook quinoa in them? That’s amazing! 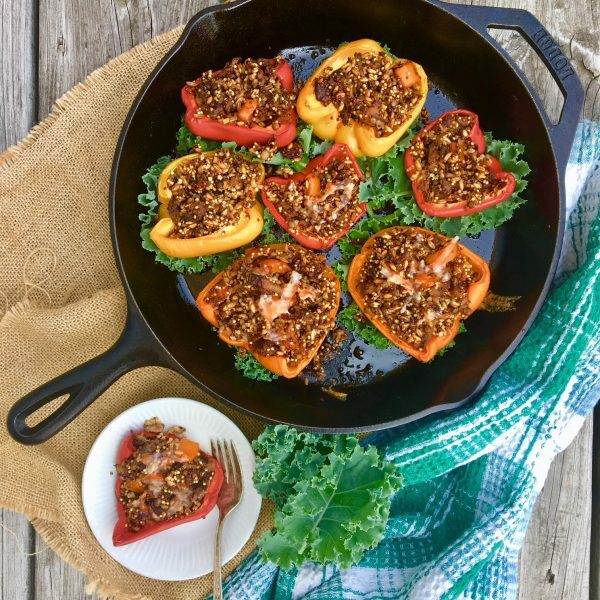 You know stuffed peppers are so underrated, I love them and prepare them often at home. They are so versatile and an easy dinner to please everyone in the family. Oh I totally adore this recipe! So easy to make and love adding colors on my plate. I love stuffed peppers and have made them with rice, couscous or just meat and vegetables, but never with quinoa. Have to try that! They look so good! These do look easy and delicious! I haven’t made stuffed peppers in ages but I think it’s time to do it again! August 8 – My New Favourite All You Can Eat Restaurant! Joyce on How To Make CBD Infused Butter! CJ on How To Make CBD Infused Butter! Ben on How To Make CBD Infused Butter! Easy recipes, food adventures, restaurant reviews and everything food related! Follow me on my food journey!